EGT is one of two indirect, wholly-owned interstate pipeline subsidiaries of Enable Midstream Partners, LP. 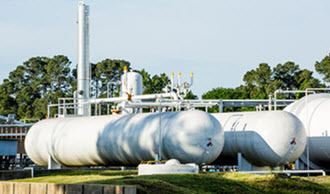 EGT and Enable Mississippi River Transmission, LLC (MRT) operate approximately 7,900 miles of interstate pipelines located in Arkansas, Illinois, Kansas, Louisiana, Mississippi, Missouri, Oklahoma, Tennessee, and Texas as well as six storage facilities. For a listing of interstate pipeline contacts, click on “Contacts” located under “Other” in the navigation bar. EGT currently has Operational Alerts in effect. See Critical Notices for full details. Feel free to contact the Enable Midstream Interstate Pipelines Customer Advocate, Kathy Kennedy, to communicate how Enable Midstream Interstate Pipelines are meeting your needs or how we can improve our customer service. You may call Kathy at (346) 701-2154 or click here to email her now.